The Los Angeles Dodgers’ Hideo Nomo no-hit the Colorado Rockies, 20 years ago today. On Tuesday, September 17, 1996, Nomo threw a no-no against the Rockies for a 9-0 win at Coors Field. It remains the ballpark’s only no-hitter. 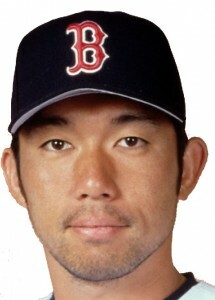 Nomo followed it up with a second no-hitter for the Boston Red Sox in 2001. Also throwing a no-hitter on this date 48 years ago today is the San Francisco Giants’ Gaylord Perry. On Tuesday, September 17, 1968, Perry out-dueled Bob Gibson to no-hit the St. Louis Cardinals for a 1-0 win at Candlestick Park. The Cards’ Ray Washburn retaliated by no-hitting the Giants the next day.